Only Smittybilt could come up with a product as innovative as the new G.E.A.R. Seat Covers. 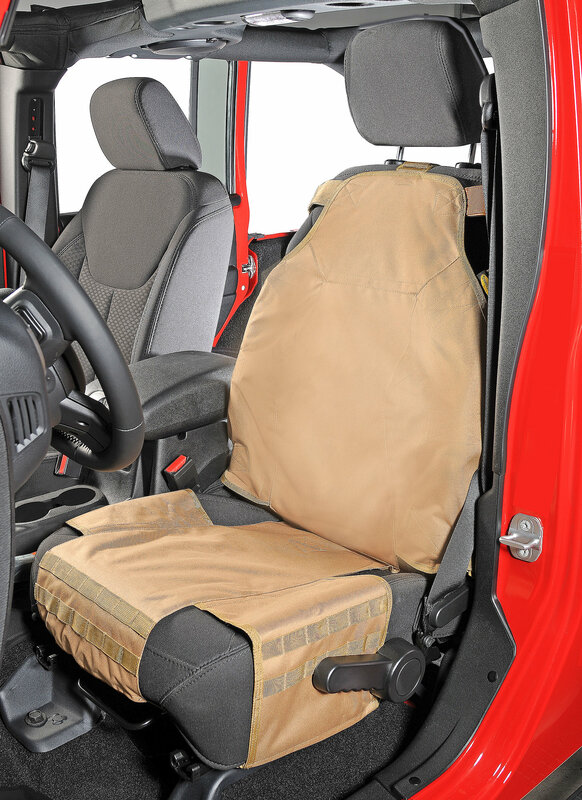 Combining plush comfort with an efficient design, Smittybilt takes the idea of premium seat covers to a whole new level. Each G.E.A.R. 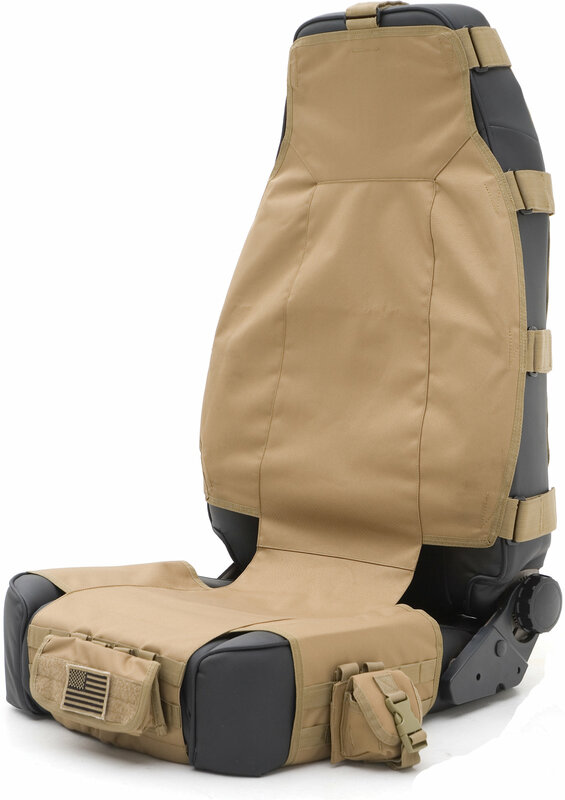 seat cover comes fully-equipped with pockets and storage compartments to help you store personal items and save space, while also providing a comfortable and durable seat cover solution. The Smittybilt Tactical Rugged Utility Knife comes with a built in sharpening stone, wire cutter & screw driver tip. 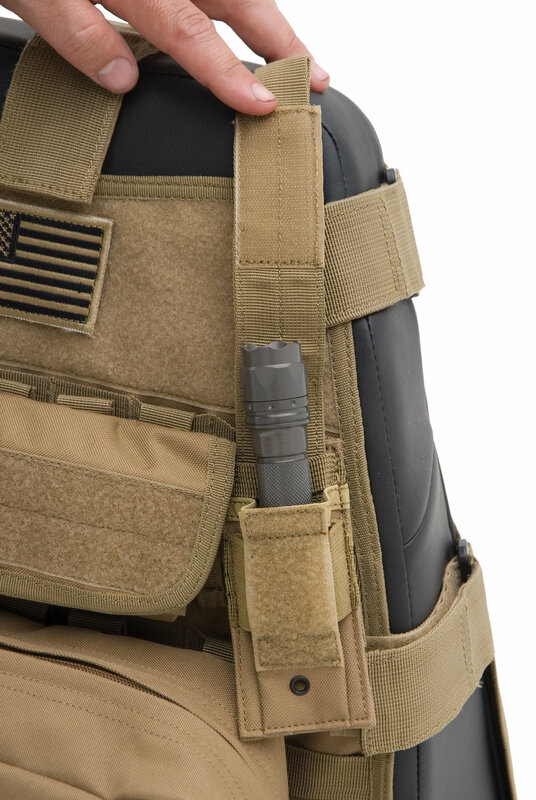 The sheath is made from composite plastic TRP with a quick release belt clip making it handy whenever you need while out on the trails. *Tools and Pocket Contents Not Included. THE ULTIMATE STORAGE SOLUTION FOR YOUR OFF ROAD vehicle! The G.E.A.R. 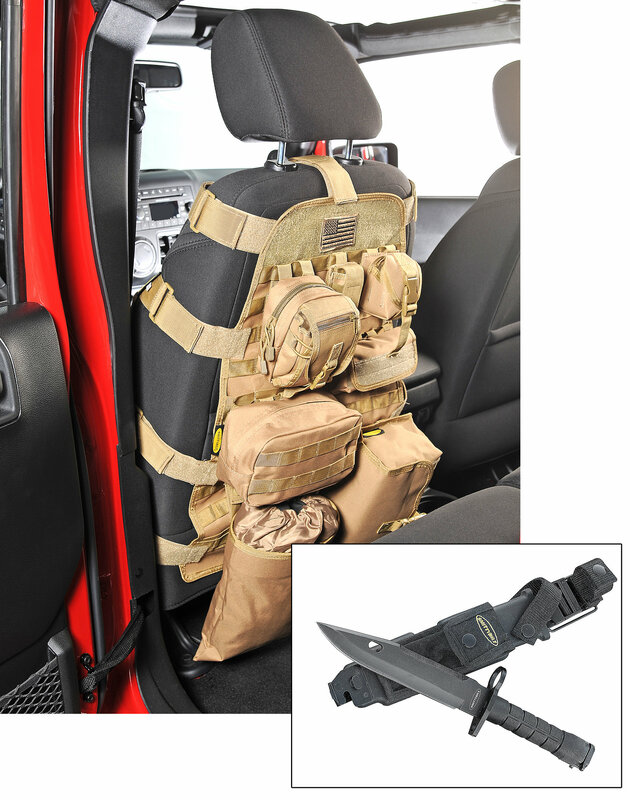 seat cover is a completely new way of looking at storage for your off road needs. Each cover is manufactured from 600 Denier Polyester with a PVC liner and is completely adjustable. The G.E.A.R. 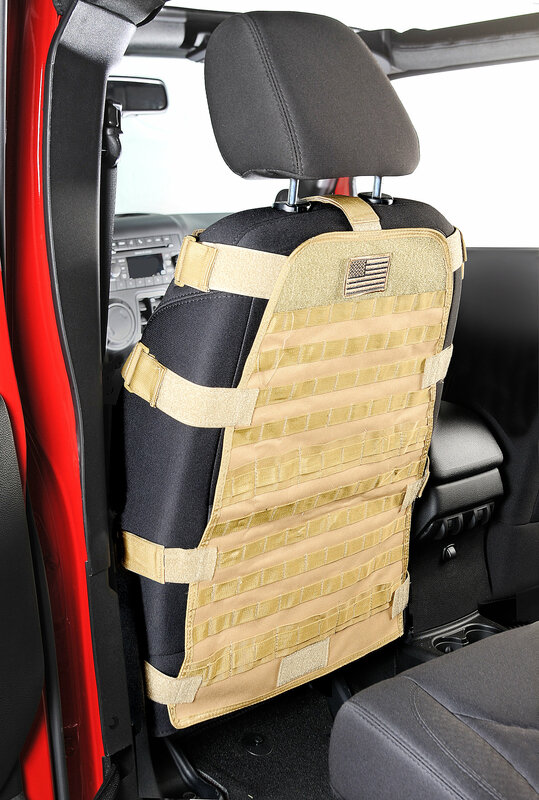 comes with seven different pouches that securely fasten using a Molle/Pals Restraint System which will not come loose under the harshest off road conditions. It's also completely UV stable. Smittybilt provides the best in G.E.A.R for all of your Off Road Needs. G.E.A.R. Seat Cover - Sold Individually.